Optional Practical Training (OPT) is a guestworker program created by the former Immigration and Naturalization Service (INS, now part of the Department of Homeland Security) through regulation operating under student visas. OPT was created without public notice and comment in 1992. Originally, OPT allowed an alien to work for a year after graduation while still in student visa status. In 2007, industry lobbyists (notably from Microsoft) concocted a scheme to use OPT to circumvent the quotas on H-1B visas. 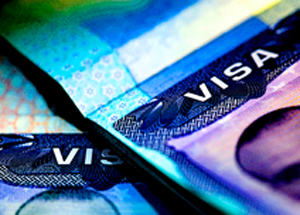 By extending the work period to 29 months, OPT would be long enough to serve as substitute for H-1B. Thus, if an alien could not get an H-1B visa, he could work on a student visa instead. an alien having a residence in a foreign country which he has no intention of abandoning, who is a bona fide student qualified to pursue a full course of study and who seeks to enter the United States temporarily and solely for the purpose of pursuing such a course of study ... at an established college, university, seminary, conservatory, academic high school, elementary school, or other academic institution or in an accredited language training program in the United States ... which institution or place of study shall have agreed to report to the Attorney General the termination of attendance of each nonimmigrant student. Clearly the authority Congress granted INS and now DHS does not encompass allowing aliens to remain in student visa status for years after graduation to supply labor to industry. Since the corrupt, smoke-filled-room rule-making on OPT, I have been representing labor groups challenging whether these regulations are within DHS authority. This May, we will reach the 10th anniversary of the start of this litigation. As one reporter told me, we can start calling this case Jarndyce and Jarndyce. The case has taken every possible bizarre turn. It was dismissed on standing. Then on identical facts there was standing. In the latest twist, the district court dismissed the claim for failure to state a claim upon which relief may be granted, even though these same claims had worked their way through to the D.C. Circuit in the previous iteration. This week the D.C. Circuit held oral arguments on the appeal of that latest dismissal. Law 360 had a reporter there covering the case. The D.C. Circuit is not going to affirm the district court's dismissal for failure to state a claim. As with the last appeal, the D.C. Circuit did not believe for a second that people working on OPT were students. The D.C. Circuit remands the case back to the D.C. District. That means probably a year and a half in the district court and another year of appeal. The D.C. Circuit dismisses on standing which would mean having to file yet another case and moving the fourth iteration through the courts. That means several more years of litigation. The D.C. Circuit concludes that remanding serves no purpose and so the court decides the case on its own. Such an outcome is unusual but not unprecedented and would put the case on a path to ending. The ultimate goal here is to get a court of appeals to decide whether aliens working on OPT are students. So far we have spent almost a decade without having reached that point.